When it comes to dental work in Wichita, is there anything better than finding an excellent dentist like Dr. Warren Rensner who is able to handle any oral emergencies and health issues with unbeatable care and expertise? Yes! Finding a dentist who is able to anticipate your future dental needs and prevent those emergencies or issues from ever arising in the first place. This is why Maple Park Dental Centre places enormous stock in offering the finest preventative dental care within Wichita. While we are here to take care of you should an immediate problem occur—such as a cavity, lost tooth, or root canal—the more we can maintain your oral health upfront, the better off you’ll be in the long-term. What are main preventative dental care methods that we encourage? First and foremost, regular checkups at Maple Park Dental Centre are a surefire way to keep your teeth healthy and clean, as well as catch developing decay or plaque before it become even more serious issues. Third, preventative care can be made all the easier with dental sealants. These are thin coatings painted onto your teeth that fight tooth decay by shielding the various grooves and bumps of the enamel. As you can see, it doesn’t take much to follow a preventative dental care plan, and the positive oral habits you establish now will promote strong teeth and healthy gums for the rest of your life. This is the sort of peace of mind and quality of life that Maple Park Dental Centre loves to provide for our dental patients of all ages. 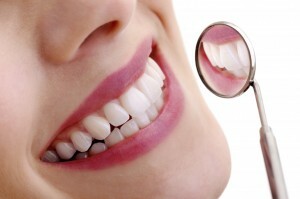 How can you implement preventative dental care in your life? Contact us today to learn more!